After reading Holy Island, which was very generously sent to me by L J Ross, I was super eager to get my hands on Sycamore Gap. When it was finally released I was in the middle of a huge reading slump, and I mean huge!! It went on for a good couple of months, and then suddenly a little parcel arrived at my doorstep. The lovely L J Ross had sent me Sycamore Gap and I was so excited I read it straight away… goodbye reading slump! As this book is a sequel to Holy Island, I will do my best as to not give anything away from the first book, but you really should go and give it a read! Anyway, back to Sycamore Gap… as I’ve said already, I was eagerly waiting to read more of DCI Ryan and Sycamore Gap did not disappoint. Sycamore Gap was just as thrilling and captivating as Holy Island, and I literally could not put this down. The story is fast paced and like any good murder mystery, you are really unsure of who the killer is throughout. Ross has you questioning so many of the characters, and their motives and the outcome leaves you wanting more of DCI Ryan. As Ryan and Anna’s relationship develops further throughout the book, you see Anna really accept Ryan for who he is. He is protective and scarred from his past, and this shows the more he opens up to Anna. With that, Anna almost teaches him that it’s ok to feel vulnerable, and how to let someone in past all of the walls he has built up to protect both himself and the people he loves. Their relationship just grows stronger throughout the book and with Ryan’s past, you can’t help but feel overwhelmingly happy for him. Ross’ writing makes you feel like you truly know Ryan and want the best for him. If I’ve not hinted enough already, I absolutely loved this book and need more DCI Ryan in my life! I know that Ross is working on a third in the series to be released this year, and I can’t freaking wait!! The Fade out was a completely new reading experience for me, as I have never read a graphic novel before. After seeing a couple of people mention The Fade Out within the book tube community and thought I would give it a go. [The Plot]: An intricate and groundbreaking crime story on a level Brubaker and Phillips have never tackled before, THE FADE OUT weaves a tangled web through the underbelly of a 1948 Hollywood… A noir film stuck in endless reshoots. A writer plagued with nightmares from the war and a dangerous secret. An up-and-coming starlet’s suspicious death. And a maniacal studio mogul and his security chief who will do anything to keep the cameras rolling before the Post-War boom days come crashing down. THE FADE OUT is the most ambitious series yet from the award-winning Noir Masters. As I’ve already said, this was the first graphic novel I’ve read, and to be honest, I was really pleasantly surprised. Being the completely naive person that I am, I always assumed graphic novels were just for super heirs and really ‘geeky’… as if being a 100% bookworm isn’t geeky enough. However, after hearing about a couple on blogs and youtube, I was really interested in the different genres included in graphic novels. The Fade Out is a very dark and sinister murder mystery story based in 1940s Hollywood. I’ve always been a fan of this time in history and that’s what really attracted me to read this in the first place. And as a fan of crime / thriller books, I think I found the perfect graphic novel to get me started. I really enjoyed the different reading format and the imagery in The Fade Out is really amazing and fits in perfectly with the Noir genre. I really enjoyed reading The Fade Out and loved how face paced it was. I would love to hear your recommendations in the comment below of any graphic novels you love and think I should pick up. After reading the blurb for this book, I had really high hopes and thought I would thoroughly enjoy the plot. This didn’t seem to be the case. [The Plot]: Spademan, a former garbage man, lost his wife and his livelihood in the dirty bomb that hit Times Square. He became a hit man, and he’s been cleaning up in a whole new way. In the burnt-out shell of what was once New york, the wealthy escape to a virtual reality far removed from the ruins around them. 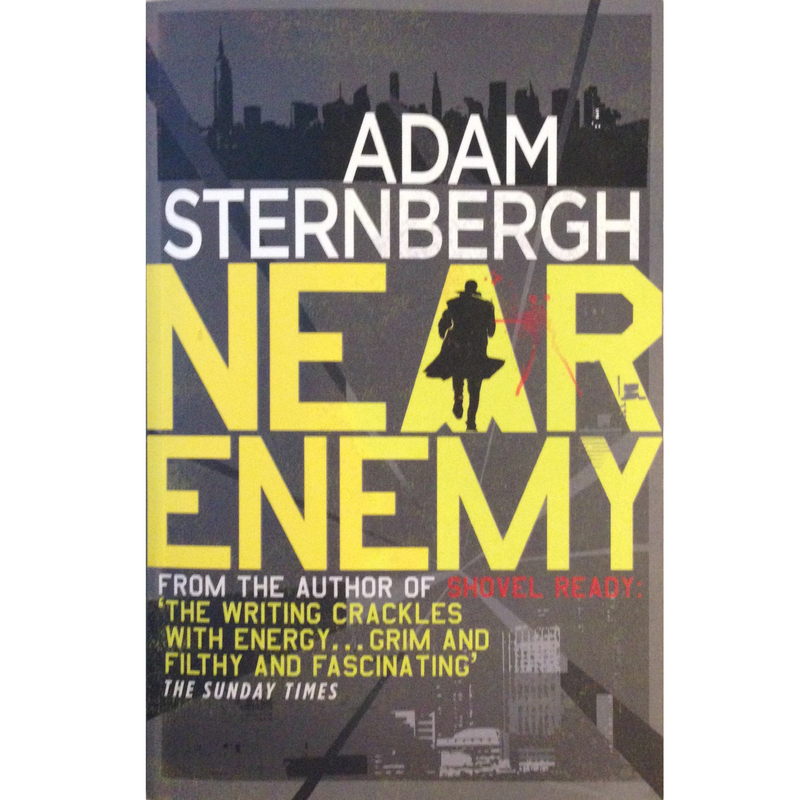 Now the virtual world is under threat from terrorists and Spademan is tasked with tracking them down. He’s not used to having enemies- his foes usually end up dead pretty quickly- but he’s about to find out just how close they are, and how dangerous they can be. I don’t tend to write negative reviews or even comments on my blog, however this is the first book in a long long while I was unable to finish. I tried to read this book for roughly 2 weeks, and was only able to get about 60 pages or so into the book. I don’t think it was any fault of the plot or the characters, I just couldn’t get along with the writing style. When you first open the book, it almost looks like it’s written in the style of a poem. The majority of sentences are shorter than the length of a line on the page. This isn’t what bothered me as I read it, I just found it really hard to follow as there is no differentiation between narration, thought or speech, and when people are speaking it’s hard to follow who is speaking when. As I said, I was unable to finish this book and therefore I won’t drag on the review and slate the book for no reason. I simply couldn’t follow the writing style. Have you read this book? I’d love to hear your thoughts on the book, and if you have any tips for reading it and following along a bit better. I rate this book 1 out of 5 stars. When LJ Ross reached out to me and asked if I would like to read her book, I took one look at the blurb and knew it would be right up my street. [The Plot]: Detective Chief Inspector Ryan retreated to Holy Island seeking sanctuary when he is forced to take sabbatical leave from his duties as a homicide detective. A few days before Christmas, his peace is shattered and he is thrust back into the murky world of murder when a young woman is found dead amongst the ancient ruins of the nearby Priory. Just from my initial read of the blurb, I knew I was going to love Holy Island and I could not have been more right in my presumptions. DCI Ryan is staying on the island of Lindisfarne during sabbatical leave from his duties. During the past couple of months, he has mingled with the local residents to a certain extent, but has really kept himself to himself. He has a certain mysterious air about him and the more you read the more you learn about him and his past. As he slowly reveals himself to Anna, I find their relationship to be really honest to the real world. There is a bit of a battle between the two characters at the beginning of the book, but their attraction and curiosity of each other takes over. I find this to be a much more realistic relationship progression than many books I’ve read and I found it really refreshing. 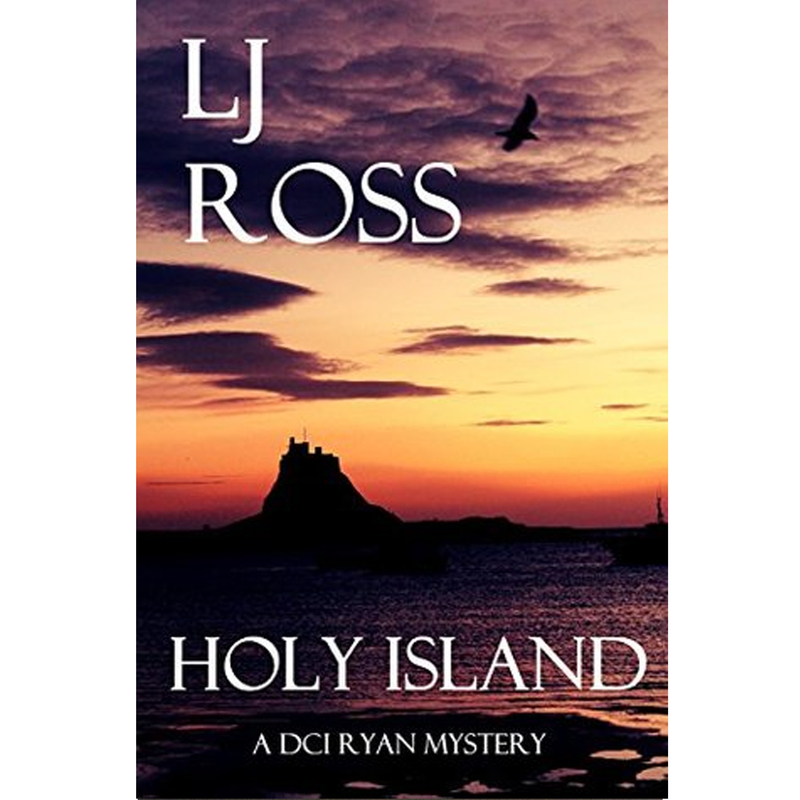 I’m a big fan of crime, thriller and mystery books at the moment, and I found Holy Island to have a truly original plot. Ross’ writing style manages to combine the descriptive narration along with the action and dialogue in a way that keeps you engrossed in the story. I can be guilty of skimming through books I find to be too descriptive, but this was not the case with Holy Island. I didn’t want to put the book down and actually ended up staying up really late just so I could finish it before going to sleep. The ending of Holy Island could not have been more perfect. The mystery is completely wrapped up, and just when you are getting past the shock of finding out who the murderer is, you are hit with another cliff hanger. I’m itching to find out what happens next to DCI Ryan and Anna. 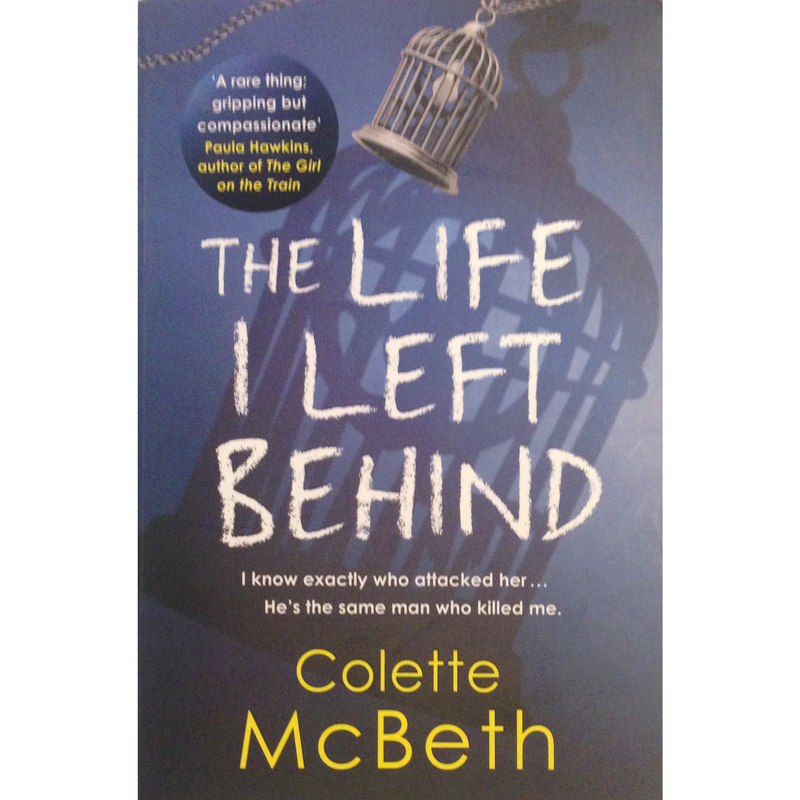 Overall, I really loved this book, it’s dark with just enough humour and the romance doesn’t take away from the story. I’m really looking forward to ‘Sycamore Gap’ which is due to be released on the 12th of September. If you are a fan of mystery and crime books at all, I really do recommend you giving Holy Island a read.. it will not let you down!